The biosynthetic pathway of 2,3-butanediol (2,3-BDO) production from pyruvate under anaerobic conditions includes three enzymes: acetolactate synthase (ALS), acetolactate decarboxylase (ALDC), and acetoin reductase (AR). 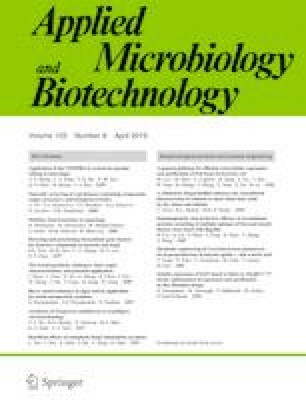 Recently, in anaerobic hyperthermophilic Pyrococcus furiosus, it has been reported that acetoin, a precursor of 2,3-BDO, is produced from pyruvate by ALS through a temperature-dependent metabolic switch. In this study, we first attempted to produce 2,3-BDO from Thermococcus onnurineus NA1 using a simple biosynthetic pathway by two enzymes (ALS and AR) at a high temperature. Two heterologous genes, acetolactate synthase (alsS) from Pyrococcus sp. NA2 and alcohol dehydrogenase (adh) from T. guaymacensis, were introduced and expressed in T. onnurineus NA1. The mutant strain produced approximately 3.3 mM 2,3-BDO at 80 °C. An acetyl-CoA synthetase IIIα (TON_1001) was further deleted to enhance 2,3-BDO production, and the mutant strain showed a 25% increase in the specific production of 2,3-BDO. Furthermore, when carbon monoxide (CO) gas was added as a reductant, specific production of 2,3-BDO increased by 45%. These results suggest a new biosynthetic pathway for 2,3-BDO and demonstrate the possibility of T. onnurineus NA1 as a platform strain for 2,3-BDO production at high temperatures. The online version of this article ( https://doi.org/10.1007/s00253-019-09724-z) contains supplementary material, which is available to authorized users. GBL and YJK: performed experiments and wrote the article. JKL and TWK: contributed critical comments on the manuscript. SGK and HSL: conceptualized and designed the experiments. JHL: wrote the paper with input from the co-authors. This work was supported by the KIOST In-house Program (PE99722) and the understanding of the deep-sea biosphere on seafloor hydrothermal vents in the Indian Ridge Program (20170411) of the Ministry of Ocean and Fisheries of the Republic of Korea.